Title: ' America Noviter Delineata'. 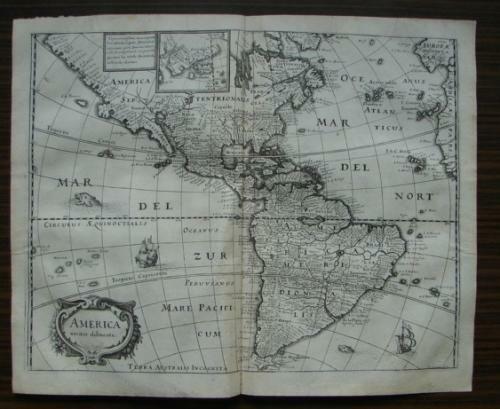 An elegant map of the Americas based on Blaeu with an inset-map of Greenland. The condition is very good with a small centre fold reinforcement and slight age toning.